Painter. Born in Auburn, Ml on Jan. 11, 1871. Smith was a self-taught painter and spent his early career in Chicago. He visited California some time before 1908 but did not actually settle in Los Angeles until the 1920s. He was art director of the Jonathan Club there at the time of his death on Nov. 26, 1937. As well as landscapes, Smith also painted portraits. 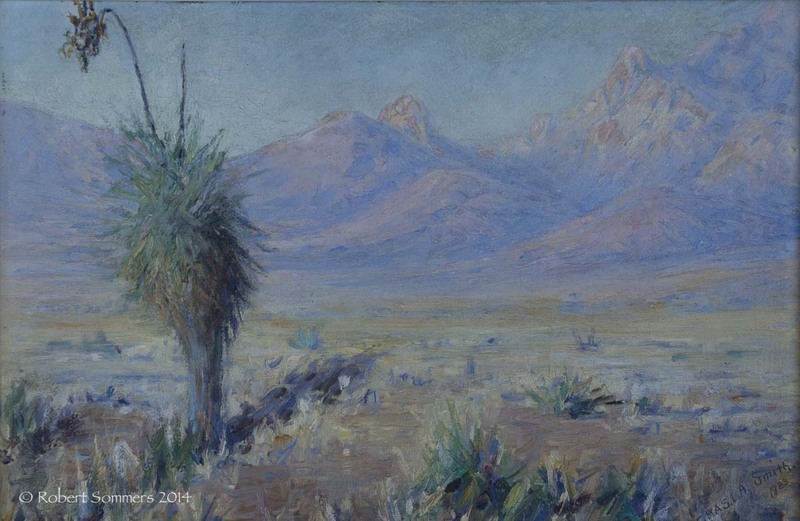 Exh: Chicago Society of Artists, 1900-08; AIC, 1908; PPIE, 1915; Calif. Liberty Fair, 1918; Calif. Art Club, 1919-26; Painters & Sculptors of LA, 1920-26; Ebell Club (LA), 1921, 1925; Calif. WC Society, 1921-30; Ainslie Galleries (LA), 1926; Pig & Whistle (LA), 1929; Calif. State Fair, 1930; Santa Cruz Art League, 1934. In: Orange Co. (CA) Museum; University of Maine Art Gallery; Lawrence (MA) Museum; Gardena High School; Irvine (CA) Museum. AAW; AAA 1903-33; SCA; FId; DR; LA Times, 11-30-17 (obit).